Satoru Iwata, the President of Nintendo, has announced that he will take a 50 percent pay cut for the next five months in order to "atone for the downturn" of the Wii U. That verbiage comes from the source of this story, the AFP. In addition to Iwata halving his salary, members of the board of Nintendo will see theirs reduced over the same time period by 20-30 percent. All of this comes after Nintendo significantly lowered sales expectations for the Wii U. Nintendo's newest console has caused a lot of grief for the company so far, with a lot of blame being laid at the feet of branding, marketing, software lineup and more. In my opinion, only the software front has genuinely been addressed for the Wii U. There's a slew of worthwhile games on the system, and it could easily be argued that the Wii U has the best library out of all next-gen platforms. Everything else? Branding and marketing for the Wii U have lead to consumer confusion. There are still some shoppers who think the Wii U is nothing more than a controller for the Wii. That's problematic. 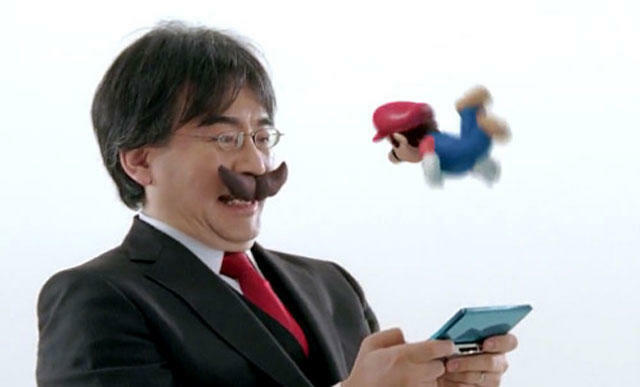 Nintendo has said that they will reveal a fresh business strategy this Thursday. Rumor's have suggested that it will involve mobile devices, though don't expect minigames.